Immunohistochemistry analysis using Mouse Anti-Rhodopsin Monoclonal Antibody, Clone 1D4 . Tissue: backskin. Species: Mouse. Fixation: Bouin's Fixative and paraffin-embedded. Primary Antibody: Mouse Anti-Rhodopsin Monoclonal Antibody at 1:100 for 1 hour at RT. 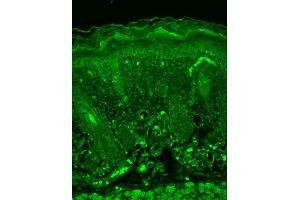 Secondary Antibody: FITC Goat Anti-Mouse (green) at 1:50 for 1 hour at RT. 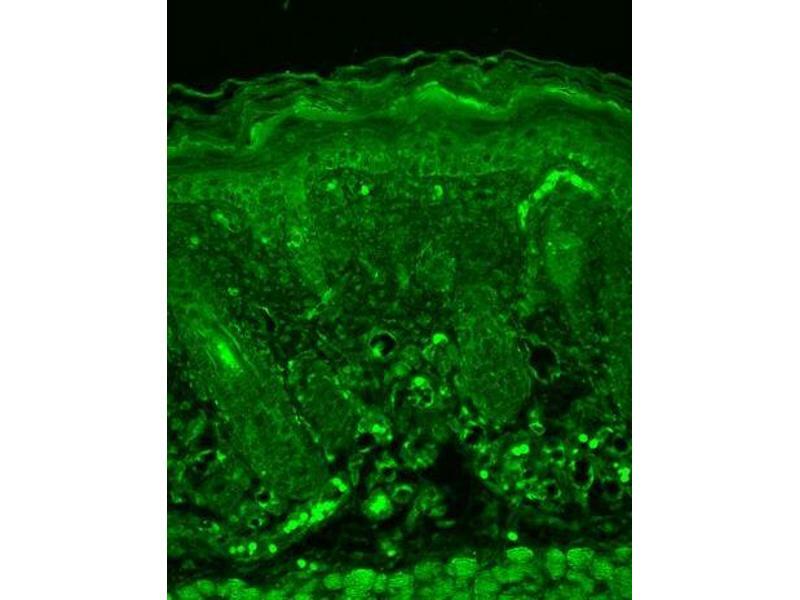 Localization: Dull epidermal staining. 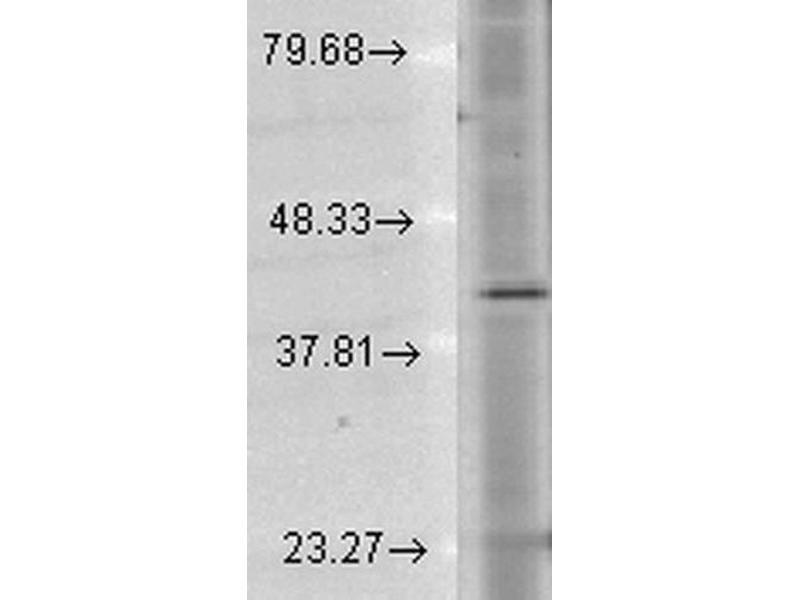 Western Blot analysis of Human Cell lysates showing detection of Rhodopsin protein using Mouse Anti-Rhodopsin Monoclonal Antibody, Clone 1D4 . Load: 15 µg. Block: 1.5% BSA for 30 minutes at RT. Primary Antibody: Mouse Anti-Rhodopsin Monoclonal Antibody at 1:1000 for 2 hours at RT. 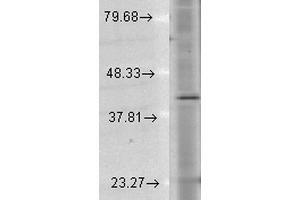 Secondary Antibody: Sheep Anti-Mouse IgG: HRP for 1 hour at RT. 1 μg/ml of SMC-177 was sufficient for detection of rhodopsin in 10 μg of rat eye lysate by colorimetric immunoblot analysis using Goat anti-mouse IgG:HRP as the secondary antibody.